A shame they all basically get two wasted points in HP. Wait, is this even right? I thought it was supposed to increase the three highest stats. It's actually highest Level 1 Stats. 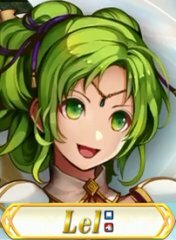 That's why Ethlyn has that +1 RES despite her RES when at Level 40 being the lowest because at Level 1, her RES is her 3rd Highest Stat. Here are Ethlyn's stats at level 1. So because of those, Ethlyn gets a additional +1 in HP, SPD and RES. As you can see, Joshua's DEF at Level 1 is higher than his ATK, so his DEF gets the plus 1 rather than his ATK. But think about it this way, +2 HP, +2 SPD and +1 DEF gives Joshua some pretty decent survivability thanks to his HP and DEF boost and SPD allowing to prevent more doubles. Edit: Anyway, I noticed that the GHBs weren't on that list, so here's the actual list with the GHBs. Now she just needs a Prf. Shamshir. I mean, she came with it in her own game. That sounds like a no brainer. That said, every +1 is good, especially SPD. Every +1 SPD is one step closer to getting a double when attacking or avoiding a double when being attacked. +1 ATK is nice for making those 1 HP left moments less frequent. And DEF/RES are nice when combined with the HP boost. It will be interesting to see who actually benefits from this in context. All of the increases look good in a vacuum but if one character, for example, was already 4 Spd behind another character and that character gets +1 Spd and the one they're behind gets +2 Spd then it's now a 5 Spd difference which means they get doubled now. I'm also wondering if this change might just retroactively nerf Aversa by similar logic. Fjorm is probably getting retroactively nerfed by this if you still use the free copy. She doesn't get a Spd increase while someone like, for example, Fallen Takumi gets an increase of +2 Spd. Fjorm has and will still have 31 Spd at +1 merge, while Fallen Takumi will have 36 Spd at +1 merge, going from 34 Spd. So that's an example of how certain things will shift. That's before considering buffs and skills of course though. It's also weird that they announce this is releasing right after the new Laegjarn comes out, she's basically getting a free buff right after she releases lol. It will be interesting to see. Not just which TT & GHB heroes benefit, but which characters will benefit now that they won't have a Bane. It'll be interesting to see Units who relied on an HP/DEF/RES Bane to now have some decent survivability. Like Caeda, who relied on a DEF Bane or HP Bane, can now fight Armors a bit more reliably. Obviously, balanced stat heroes like Female Grima certainly get a big benefit with losing their Bane. It'll also be interesting to see how SPD Banes will affect Tank Heroes. After all, alot of Tank Heroes, like Adult Tiki, relied on a SPD Bane in order to get the benefit of being doubled so that they could reliably proc Aether. Now with their SPD Bane gone, they will lose getting doubled by some units, making Aether harder to execute, which will change some of their their match-ups. And most Armors, who used a SPD Bane as a dump stat, certainly get no benefit from having more SPD and their other stats won't get any better either. Did you finish all of your December 2018 quests? A majority of them. Only missed 2 quests with 1 Orb each, which were the Infantry and Cavalry Training Tower quests. Some artwork from Daisuke Izuka, the artist of characters like Minerva, Hardin, Michalis, Zelgius, etc. Smiling Clarisse is wholesome. Opossum for FE1/3 Love. "Hello officer? I'd like to get a restraining order. There's this lady here who keeps attempting to get me drunk for who knows what nefarious purposes." Also here's Laegjarn. Dunno if this is what I'll stick with but it's good for now. I think her double Chill will make her interesting on mixed cavalry/dragon teams. She also comes with Def Tactic 3 at 4-Star so she could be useful skill fodder for some, her weapon might also be worth putting on some units if you get the 5-Stae version. Fjorm: "We"re comrades---in battle. I must stay close---it's nothing more." FEH Fans: "Dammit! Comradezoned again!" Me: "We're comrades---in battlePeriod" "So what are we when not in battle?" Anyway, still trying to attempt to get Legendary Marth. No luck so far. But thank goodness for the TT Orbs and whatnot. 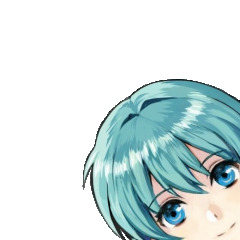 I always fail to get Eirika alts but somehow I end getting Ephraim alts instead. I want this as an actual alt now. Along with her sister, Neighvatein. One summoning ticket was used in Fire Emblem Heroes today, and I got the 5-star sword unit... of the character I didn't want. Attack is her asset, and Res is her flaw. Guess this means I'm going to use her. These Chill Skills are getting out of hand. After dealing with a -Atk+Def F!Celica for a while (which resulted in a nice Bonfire set) now I got a +Atk-Res one. So with a merge of +1, Beloved Zofia's effect and DB3 she now can initiate with 65 attack, allowing me to use a Heavy Blade set to nuke with Luna in one round. I spent way more Orbs on the Azura banner than I should have, especially since I got Legendary Azura on my free summon (and Legendary Marth on the same summon circle), but I needed to get a second one to give Clair the Dual Blue Flier skill. Finally got it after being pity broken by five Summer Camillas and two Fjorms. I hate Legendary banners when you only need one specific character which happens to be all I ever need them for. At least I have more Hone Fliers fodder than I'll ever need now. EDIT: Speaking of Legendary Azura, I used her to beat her own Abyssal map (video tomorrow) and it made me realise how insanely min-maxed she is. Like everyone is talking about what her special Sing skill and the buffing effect of her weapon but jeez her offensive stats are insanely good for a dancer and she can put in work on her own. She's basically Kinshi Hinoka but with a Blue Tome and can has souped up dancer mechanics. It's probably old news but she really is one of the most disgusting units in a while who I'm sure I'll get tons of use out of in PvE content. Was originally thinking I'd just use her for the OP dancing and the extra copy to give Clair that Blue Flier skill but honestly, I'd be tempted to merge her up if she wasn't a Legendary Hero. And if her ability to double pretty much any unit isn't enough, give her a Breaker skill for that one problem 99 HP Armour unit on those Abyssal maps. If you really wanted to you could forego making her a dancer entirely and just convert her into a full-on nuke. Her Spd is overkill and could get better with buffs and merges so give her Death Blow instead of LnD and a more offense oriented tome. This stuff is probably known but I kind of had an "oh ****" moment when I figured all of this out lol. Today I discovered Morgan could autobattle the Workout Training Map so I grinded her 5000+ SP. The two things may not be entirely unrelated. I'm envious of your Morgan. She doesn't always get to do much in Hero Battle clears, but she stole the show this time. Nature is +Res, -Spd. Probably not optimal but it works well enough. She eats Reins for breakfast. Oh yeah. I do something very similar with mine, actually. Just got her recently while pulling for Wobin. +Atk/-HP. Basically your build, just... budget. Pretty happy with her, but I'd really love to get merges for her. She's one of my favorites, and those extra stat points could open up a lot of options for her. Not sure I can afford something so lavish at the moment, though. On a different note... Today I got very lucky with my New Years orbs. Never thought I'd actually see the day. THE DREAM IS REAL. +10 F2P SEASONAL UNIT. PRAISE GRIMA. Normally I put custom music over these but Road Taken is such a good track so I left that one. This was one of the more fun clears I've done and I used some movement skills to get through it. Also did the Klein & Clarine Infernal BHB, which is the first time I've made good use of my Marth who I got to +10 merge. He's an absolute unit. Morgan was tired from the Klein/Clarine clear and just came along to support. I'll do my Galeforce memes one day, I swear. NY!Laegjarn is good for it I hear. Already have it ready to go on her. So I decided to buy one of the New Year's bundles, the Fjorm pack specifically. Walked out with my fifth Summer Camilla, my second Brave Veronica, and my fifth Summer Takumi by the end of those orbs. Was hoping I'd get at least one Legendary Azura during it, but hey, more Summer Takumis are always a good thing! Mine is now at 40+4! Don't know how my luck on the Legendary Hero banner will go in its final two days, but I'm hoping I can walk out with a 40+5 Summer Takumi by the end of it, as well as hopefully get one copy of Legendary Azura for my Aether Raids team! Man this game must love giving me Male Morgan, or that Morgan really likes me alot. I have him way more than I thought. >"Man, I hope I pull Lel for the lelz"
I also randomly gave this a try today and managed to do it. I worked out a way to 1-turn Xanders map, but I can't do it now because my Hinoka is +Def. Well, having a +10 Dragon Buster that can also serve as a Combat Buff Support is nice. And eventually, the new Merge system will kick in and Marth will get a bonus to whatever Bane stat he has. Big bonus if his Bane is RES as that means that he'll get some additional RES to fight dragons easier. That said, I also have enough Marths to get a +10 Marth. All from my attempt to get Legendary Marth from the Banner. Like....it says alot when I only had 3 Marths altogether at first and then I get 8 Marths from the Banner. I also got a ton of Seliphs as well, and just in time for his new Refine. Guess the future Hero King will become part of my Arena core. I was considering to merge either Hana or Soleil and go full Armorsmasher to deal with Surtr but I rarely pull either of them, but Marth will do the job just fine. Im also considering to build Hawkeye since I have 9 of them but poor dude really needs a lot of investment, so guess Beruka will be the green of my core. I can vouch for +10 Marth, he's a fantastic user of Steady/Warding Breath especially if you have a +Spd one like I do. Give him Aether and Renewal and he becomes really self sustaining too.